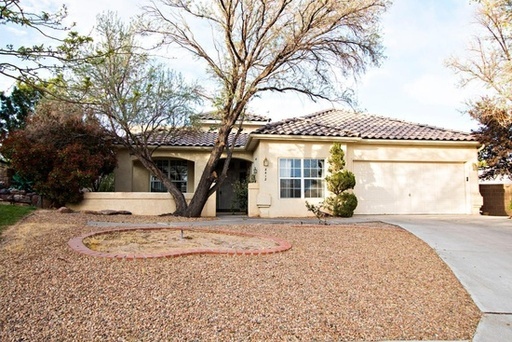 Come see this wonderfully maintained 2 story home. 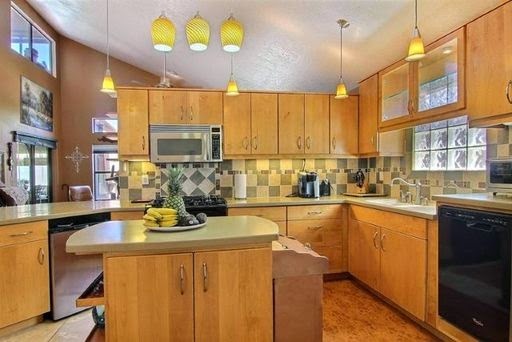 Beautifully remodeled Custom Kitchen is a chef's delight. 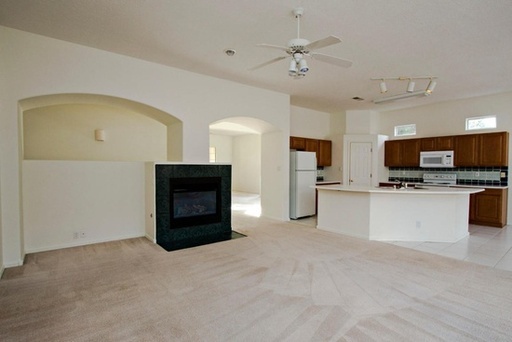 Custom Cabinets, Corian Countertops and great appliances. Updated Cork flooring in the living room and upgraded carpet in the bedrooms. 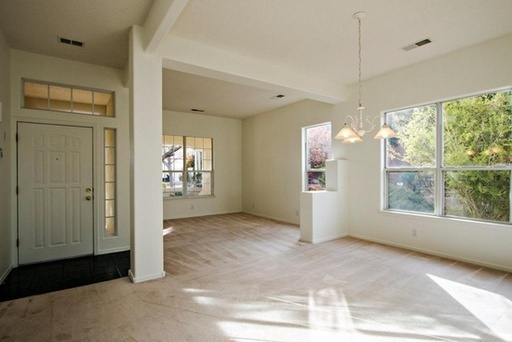 Master Bedroom is upstairs for privacy with a separate sitting room/loft. Master Bathroom has also been updated with a tile shower and separate jetted tub. His/hers closets and sinks. 220 in the garage and the 10/20 Morgan Building Workshop. 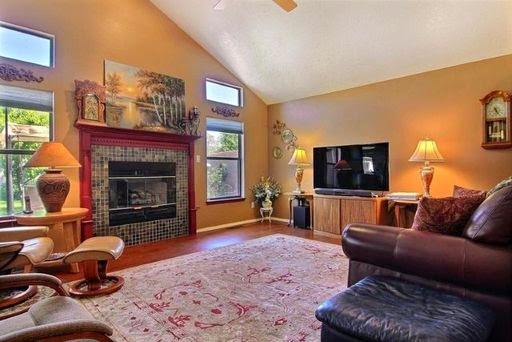 Wonderful 1 story home situated on 1/3 of an acre & nestled on a cul-de-sac. 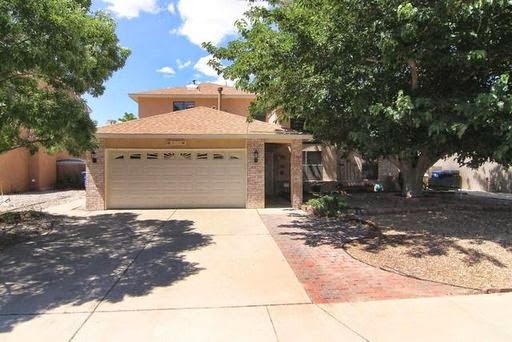 This home is conveniently located within minutes to Paseo Del Norte & Coors, Schools, Restaurants, Shopping. An inviting front courtyard welcomes you into an open floor plan, a large light-filled living room/dining room, a bright, cheery kitchen/breakfast nook opens to a second living area with a gas log fireplace, plus 3 bedrooms & an office/study with built in shelving. Walk into the garage & you'll find an additional heated/cooled hobby/craft room (247 sq ft not included in sq footage.) The back yard is completely landscaped and large! On the side of the home you'll find a 119 sq ft storage structure tiled & stuccoed to match the house. Microwave & laminate tiles new in 2013.